On 15 November 2018 the RCVS launched one of its most ambitious consultations yet regarding the future of veterinary education and how the profession can better help support veterinary graduates through the transition into life in practice. 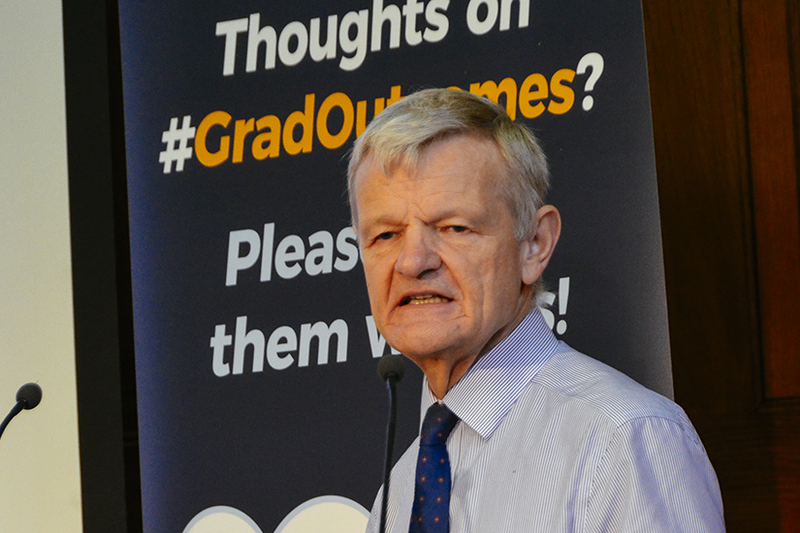 Launching at the London Vet Show 2018 with a call to be part of #TheBigPicture, the Graduate Outcomes Consultation asks for the views of all veterinary surgeons, veterinary nurses, veterinary students and other stakeholders in a broad range of areas related to how veterinary students are educated and trained, and how recent graduates are prepared and supported into life in practice. 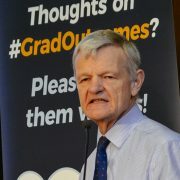 Professor Stephen May (pictured), RCVS Senior Vice-President and Chair of the Graduate Outcomes Working Group which developed the consultation, said: “For some time it has been apparent that there is often a mismatch between the way that veterinary students are educated and their expectations of life in practice, and the realities which they encounter. This can often lead to problems with mental health and wellbeing and therefore recruitment and retention. “This is not unique to the UK. Veterinary educators around the world are recognising the dangers of ‘knowledge overload’ as veterinary students are exposed to more and more advances in technical and scientific knowledge, in an ever-wider range of areas, which has made the development of crucial professional skills such as communication, decision-making, ethics and reflection more of a challenge within curricula where there is limited space. “This impression was cemented by the research we conducted with the British Veterinary Association as part of our joint Vet Futures project in which there was a strong message from recent graduates that many of them were struggling with the transition into working life. 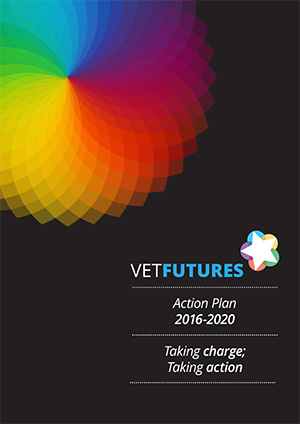 “One of the key actions of the Vet Futures Action Plan, published in 2016, was therefore to conduct a wide-ranging, root-and-branch review of outcomes for veterinary graduates and how they could be improved, encompassing the veterinary degree and the important first year in practice. Day One Competences – the skills and attributes required by veterinary graduates to work safely and independently upon entering practice. The consultation will be seeking feedback on a new overarching model for the Day One Competences, and some specific competences, encompassing a greater focus on those critically important ‘professional skills’ such as communication, collaboration, self-reflection and clinical reasoning. The Professional Development Phase (PDP) – a period of structured learning and development for recent graduates that acts as a structured bridge between life as a veterinary student and clinical practice. The consultation builds on research conducted last year with the profession, which identified a need for a more structured PDP programme, and the consultation is now asking for feedback on what this could look like. Extra-mural studies (EMS) – the consultation will be asking questions about how EMS placements should best be implemented, to achieve a more consistent quality and value for veterinary students. The consultation will also explore whether EMS could be revised to fall towards the end of the veterinary degree and act as a bridge between the degree and the Professional Development Phase. Clinical education for General Practice – this element of the consultation will be looking at how the veterinary degree can ensure there is an appropriate balance of general practice and specialist experience so that students are prepared for as wide an array of clinical experiences as possible. Promoting the consultation over the two days of the London Vet Show and throughout the nine-week consultation period, the RCVS will also be running a social media campaign under the hashtag #TheBigPicture, to help raise awareness of the scale and importance of this review and encourage all veterinary surgeons, nurses and students to take part, as well as those in the broader veterinary team. 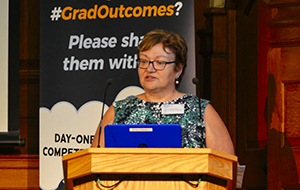 “It is fair to say that this is one of the most ambitious consultations the College has carried out in at least the past 20 years,” said Professor Susan Dawson (pictured), Chair of the RCVS Education Committee and member of the Graduate Outcomes Working Group, “but it will only succeed if we have the support and input of as many veterinary professionals as possible. “Our ‘Big Picture’ campaign therefore refers not only to the sheer scale and importance of the areas under consultation, but also to the need to encourage everyone to submit their views, no matter what stage they are in their career, or in what sector of the profession they work. Their constructive feedback will be critical to ensure we get this right, as this will affect not just those qualifying in the next few years, but potentially the next generation of veterinary graduates. The consultation exercise is being carried out on behalf of the RCVS by the independent research consultancy, Work Psychology Group (WPG). In mid-November, WPG emailed every RCVS-registered veterinary surgeon and veterinary nurse with a unique link to the online consultation. It is expected that respondents will need to set some time aside to answer the consultation in full, so this personalised link will enable them to submit their views in stages, and pick up where they left off. The RCVS is also hoping that veterinary students, veterinary organisations and all those in the wider veterinary team will also be able to submit their views via a general link to the online consultation. The deadline for responding to this first stage of the Graduate Outcomes Consultation is Friday 18 January 2019. The second stage of the consultation, in the first quarter of 2019, will consist of focus groups and interviews with selected respondents.